As you all know by now, I don’t very much like writing about my ideas of thoughts, but New Years Eve makes me a little bit emotional. 2010 was crazy in Wicked The Musical. We had a lot of cast announcements and changes. We mourned some great people leaving and celebrated some amazing new ones stepping into the big Wicked Family. We even had to undergo the closure of the San Francisco Production-with such amazing and INCREDIBLY TALENTED people performing there. We also had some changes in productions styles. We changed Sydney for an Australian National Tour and we also had the German production going to Oberhausen. It was for sure a thrilling ride! But I want to take this opportunities for thanking and recognizing some people. We started back in 2009 with a small blog. Now we are one of the top Wicked blogs in the Wicked -sphere and this wouldn’t have been able if it weren’t for you guys. Yes you, my readers. Thank you for joining us and for enabling us to grow. Whether it’s your first time or you are just revisiting, Thank you. We would be nothing without you guys reading us. Nicolas Dromard, Neka Zang, Natalie Daradich, Felicia Ricci, Libby Servai, Alyssa Fox, Lindsay K. Northen, Lesley McKinnell, Stefanie Brown, Jody Gelb, Cassandra Compton, Lucy Newton, Lucy Durack, Tim Campbell, Ben Darmanin, Teal Wicks and Liana Hunt. To all of you Thank you. Without you guys we would be nothing. You guys make us feel special and appreciated as you make us be part of your world. You know that we, fans, love you and we will even follow you after Wicked (or Mamma Mia in Liana’s case) on whatever project you want to engage. Thanks for making 2010 a special year. Third, I want to thank the different Fans that engage regularly on here-specially TWickies. You guys rock! I hope we keep you entertain as much as possible, for you to keep coming back. Thank you for making us company every single day. Felicia Ricci’s fans, as well as the guys for Jemma Rix and Willemijn Verkaik, have proven me that they are strong as hell. However, I want to deeply and specially thank TWickies. This guys are mental! They are Teal Wicks fans! Although I consider myself one of them, I have to admit this guys are nuts about Teal. Their ﻿Founding Mother and Head Jacqueline is amazing! If I ever include a Fan Personality of the Year I think she would (deserves) win it. Thanks Jacq for everything and for trusting BroadwayisWicked! I know Teal is proud of you. Last but not least I want to thank my co-writer and newly addition Sarah without whom I would never get such amazing information directly from West End! Thanks girl! 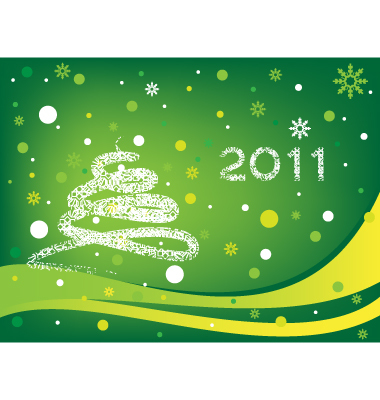 So there, I hope you enjoyed this year and we are looking forward to having an amazing 2011. After a three-weeks intense poll, you guys had chosen Teal Wicks as your new Wicked Personality of the Year 2010. This American singer and stage actress, best known for her performance of Elphaba in the San Francisco and Los Angeles productions of the musical Wicked and to reprise that role next January in Broadway, has been awarded after winning the poll with over 20,000 votes (42%). Second place was for Felicia Ricci (@feliciaricci) with an amazing 12,900 votes (27%) and in third came Dee Roscioli with over 6,000 votes (13%). Then, Rachel Tucker, Kendra Kassebaum, Nicolas Dromard, Lousie Dearman, Eden Espinosa, Patrice Tipoki and Ethai Benshlomo in that order. Thank you all for participating! You have all been wonderful. Great poll by TWickies and Felicia’s fans. Congratulations to all of the contestants and specially to the amazingly talented and gorgeous Teal Wicks! Published by Lauren Greene to the FB group "Fans of Nicolas Dromard"
The electricity in the air was palpable. There were so many people in the theater that I knew, and we were all talking and laughing and being excited. My seat was in Row D, seat 4, so I was on the right side of the theater… not too far right and only three rows back (yes 3, there’s no Row A on the far side!) so the view was perfect. Show ended up starting a few minutes late; not surprising considering they were probably all running around backstage like crazy people, sharing the love and all that jazz. But soon enough, Bryan Perri [conductor] brought his baton down for the first note and everyone was riveted. Immediately after the Ozian yelled, “Look! It’s Glinda!” the audience exploded. And we did not shut up for at least a good minute. It doesn’t sound like a lot, but you sit there and stare at the clock for a minute straight and you’ll feel how long it is. It was amazing. And Kendra couldn’t do anything but stand in that bubble and grin her beautiful head off. Even the Ozians down below were cheering, remaining in character all the while. The show continued, lots of heart even in an opener like this. I was watching Nicolas a little bit in this scene too, because he’s in the ensemble for this number, and whenever he interacted with another Ozian (generally female, I believe he dances with Holly or Annie or maybe both) they were really sweet with each other, and the scripted hugs meaning even more than they usually do. Eden’s entrance warranted a boatload of applause as well. It seemed like Kendra didn’t even want to go offstage. Even Jody got applause when she marched in as Madame Morrible, and she’s not leaving the cast! It just shows how hyped up the crowd was. Eden blew the top off this number; this was only the fourth time I’d seen her, and all of the times prior she’d (unfortunately) been off her game. So it was lovely to finally be able to hear her sing the way I’d heard she could do. Riffs all over the place. “What Is This Feeling” was really good, as well. Kendra inserted a few *snap snap* flourishes, like, “Come get this, b*tch,” and it was cute, and Eden imitated it a few times later on. There was even a moment after the ensemble kicks in and they’re all running around the stage and singing together where she rose her voice about the clamour for added effect on “I LAID EYES ON YOU!” Eden imitated Kendra’s hand-raised flailing perfectly, to hilarious effect. In Dancing Through Life, as Teal_Wicks_For_Good (Jacquie) mentioned, it was a little tricky to time Nic’s entrance applause! I had my hands poised to go as soon as he rolled in, but since TWFG was right behind me, I let her cue it, and it ended up happening as soon as Fiyero and Avaric did their little handshake-jig. It was cut a little shorter than I would’ve liked, though, because Eden went ahead and delivered her line. Nic bonked Etai on the nose with the book he later flings offstage. Hahaha. Etai was obviously not expecting it at all whatsoever because he almost completely busted up laughing. Kendra also whacked him good-naturedly with her purse later on in the same scene. 🙂 Hilarious antics. Eden’s dance was funnier than ever, and deliberately slow and kooky. Glinda’s rebuttal was deliberate and graceful, the standard I’ve come to expect from Kendra. Popular was phenomenal. Kendra really put her all into it, and it’s different every single time with this woman. My favorite moments included the little moon/underwear flash from Kendra as she LA LAAA’d, and the “whirrr zzz” noises she makes during the ballgown wand-waving… and when she hands Elphie the mirror, Kendra put her finger under Eden’s chin, brought her up to eye level, and said, “You’re. Beautiful.” and everyone’s hearts went “Awww”. Defying Gravity was amazing. I love Eden’s timing when she rises after Kendra puts the cape around her. Slowly, until the music peaks, and then she raises her head. Everything was so poignant and real. Kendra looked like she was genuinely fighting to get away from the guards, and I’ve seen her just “struggle” as called for by the script. The last notes of the song were just amazing, Eden riffing all over the place, conducting the last note with her broom and ending to thunderous applause. One of my favorite moments is when they kill all the lights, but the spotlights take just milliseconds longer to cool down than the others, so even though it’s dark you can still see Elphaba’s face lit among the darkness. Happens every time and it’s so cool. Anyway. Everyone was on their feet as the house lights came back up. Anyway, after a few more amazing cupcakes (hee hee) it was time for act II! Much to our dismay, one of our friends ran back into the theater to tell us that Fiama’s name was up on the board for Morrible. (We love Fiama, of course, but we were just sad that something happened to Jody.) And sure enough, as the lights dimmed, they announced the change. I think this is my favorite scene of Kendra’s, especially when she sings, “…you didn’t know you crossed until you crossed!” Her voice just fills up the whole theater on that last word and it’s gorgeous. And after Fiyero runs off and Kendra yells after him, I guess her mic was up and you could hear her say “Ohh” worriedly as the Ozians reacted to her cry. I just love how thought-out every. single. aspect. of her performance is. Just that simple “ohh” tells me that Kendra is completely immersed, and that Glinda is actively thinking of her excuse, that she doesn’t have ~lines memorized~, that she’s actually reacting to what’s going on around her. And I love every moment of it. Deedee blew me away that night in WWotE, and I think it was helped by her real emotion about the departure of the cast. Her final cry, “It was Elphabaaa!” was plaintive and her voice broke and all the emotion she was feeling just poured into the note and it was beautifully heartbreaking. Kendra didn’t need the “nnn” at the beginning of her low note at the end of “I’m Not That Girl”. She hit it dead on, pure, and gorgeous. Kendra actually didn’t whack Eden’s broom with her wand, and I was a little disappointed because it’s such a good addendum. But I think the scene was a little rushed and they just sort of launched right into the actual catfighting. Nic seemed to fight a little bit against the guards after he’d been grabbed, which I liked. Eden totally nailed every aspect of No Good Deed. I love that she switches up the timing of some of it, like on the spoken parts (i.e., “Nessa?” etc. ), she comes in a beat or two later than you’d normally hear (a la OBCR). It’s just another aspect of her completely unique and thought-out performance and demonstrates her complete musicality. “For Good” was amazing. It made me tear up, but I didn’t start really crying until the curtain went down. Neka tweeted that the Scarecrow had a drawn-on tear, which I didn’t see until Nic tweeted a picture this afternoon because it was on his upstage side. But that’s still amazing. Anyway, curtain call, I thought the applause would never end until Deedee finally stepped forward and asked for a moment. She made a short-but-sweet heartfelt, tear-filled speech, and then they waved for a few more moments until the curtain finally, finally came down For Good. Cliffton Hall is coming back to Wicked, after leaving the role a couple of years ago in the National Tour, to replace Nicolas Dromard as Fiyero in the San Francisco production of the show. He is due to go on stage as from June 29th. Alli Mauzey former Glinda in the Broadway production of Wicked is returning to the show to close production in San Francisco as from June 29th 2010 -and ending September 5th. Alli has recently been confirmed to be returning to the role to replace Kendra Kassebaum. Also in June 6th Eden Espinosa and Nicola Dromard, Elphaba and Fiyero respectivelyin SF production, leaves the show. 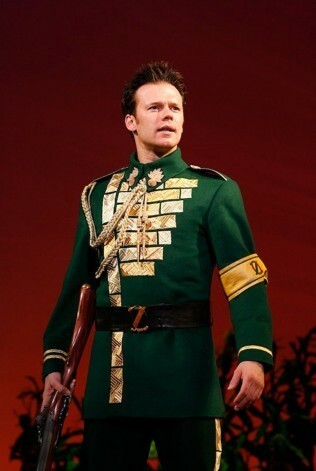 Nicolas Dromard currently playing Fiyero in the San Francisco production of Wickes recently announced through his twitter that was cast as Bert in Mary Poppins (National Tour) and will be leaving Wicked with Kendra Kassebaum and Eden Espinosa on the 26th of June. Nicolas will be on Broadway for a month and then on the tour of mMry Poppins for a year. Its a sad but good news. We wish Nicolas the best on this new “stage” of his carrer. Today, we are glad to bring you the first exclusive interview of Broadway is Wicked. We had the chance to speak to the amazing performer who portrays cavalier Fiyero , every night, in the San Francisco production of Wicked: Nicolas Dromard. Brodway is Wicked (BW): Who is really Nicolas Dromard? Nicolas Dromard (ND) : I was born and raised in Ottawa, Ontario, Canada. I’ve been dancing since I was six, and singing since i was 9. I’ve always loved dancing and that’s how I got into this business. BW: When did you know that your career was going to be acting? ND: It never really hit me like some people. I never woke up and said “I’m going to be on Broadway!” It sort of just happened that way, and I’m so thankful that I’ve been so lucky and fortunate to be where I am today. BW: How did you feel the first time you performed in front of an audience? ND: I felt amazing! The first time I danced for an audience I was six years old, and I barely remember the thrill of being onstage. But it was there! BW: How did the role of Fiyero come about for you? ND: Iunderstudied the role on tour for a year and a half, and after having the left tour for a couple of years, they called me in to audition for the role. And I got it. My agent called me on my birthday to wish me a happy birthday Fiyero. That’s how he told me. BW: How would you describe Fiyero? ND: Well, he is genuinely self absorbed and deeply…. shallow. Well not really. That’s a mask that he puts on to hide his true self, but Elphaba sees him and that makes him uncomfortable. BW: Do you have a favorite moment in Wicked? A favorite song? ND: For obvious reasons, As Long As You’re Mine! I also love No Good Deed. BW: Why do you think the show has been so successful? ND: Because it connects to so many people in the world. The story touches people in so many ways and so many different people all over the world. We are all familiar with the Wizard of Oz, and on top of that there are so many great messages in Wicked that people just love. BW: You come from other big productions such as Mamma Mia!, Mary Poppins and Hairspray. What was that experience like for you? How are they different from Wicked? 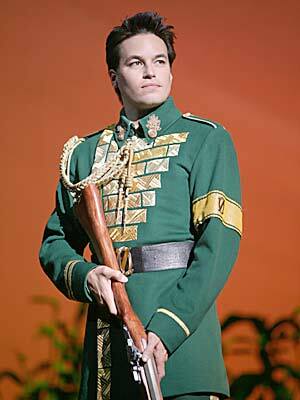 ND: Fiyero is my first principal role, so that’s one of the differences. But all the other shows I’ve done have been an incredible experience that I’ve loved doing. BW: Do you have any dream roles? ND: Bobby Child in Crazy for You, Mark in Rent, Jamie in The Last Five Years. BW: What are your goals in life? ND: Just to keep going and be as successful as I can. I would also love a Tony award. That’s on my To Do List. BW: Which do you think are the key things to succeed in Broadway? ND: To be open to everything, to learn all that there is, to keep an open mind and to adapt to things. It’s hard to just pin point the key things. Always keep a positive attitude and always be nice to your neighbour. You never know who’s going to be the next director or choreographer to hire you. it could be the person next to you in an audition or on the subway. BW: Which what do you feel more identify with? Why? – Acting, singing or dancing? ND: All of them. But my favourite is dancing. BW: What would say to upcoming performers? ND: Train train train! Learn everything that you can when you are young. It gets harder when you’re older and have more responsibilities.